Cal Farley's Girlstown, U.S.A. prepares adolescent girls to become responsible family members and successful adults by providing a family-style, Christ-centered environment supporting each girl's total development. Although needing structure and supervision, The residents function in an open environment and community without extended periods of intense individual supervision. The staff works with each girl's entire family unit to develop healthy, positive relationships. The girls range in age from 12 to 18 and usually come from an area within 500 miles of the campus, located eight miles south of Whiteface, Texas (west of Lubbock). The girls attend Whiteface Consolidated Independent School District and enjoy the same opportunities as other area students to grow academically and socially. 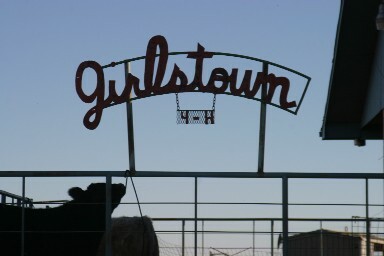 Girls may remain at Girlstown for as short as one year or through high school graduation, depending on when goals she and her family have set are successfully achieved. Youths receive medical, optical, dental and emergency services as needed. Last year, Girlstown cared for 84 girls in residence, with the average length of stay for high school graduates more than four years and approximately one-and-a-half years for the others. Girlstown, U.S.A. is a child-care facility, therefore no alcohol or firearms of any kind are permitted on campus.